The new Focus feature in Instagram works by detecting faces and blurring the background. It can be used to capture bokeh shots using both the front and rear cameras. Instagram has launched a new shooting mode on its app called “Focus” and it allows the user to take portrait images from within the app. The new mode is next to the “Superzoom” option under the record button and can be used to capture bokeh shots using both the rear and front-facing cameras. The Focus mode blurs the background as soon as a face is detected and one can tap to take a photo or tap and hold to record a video. 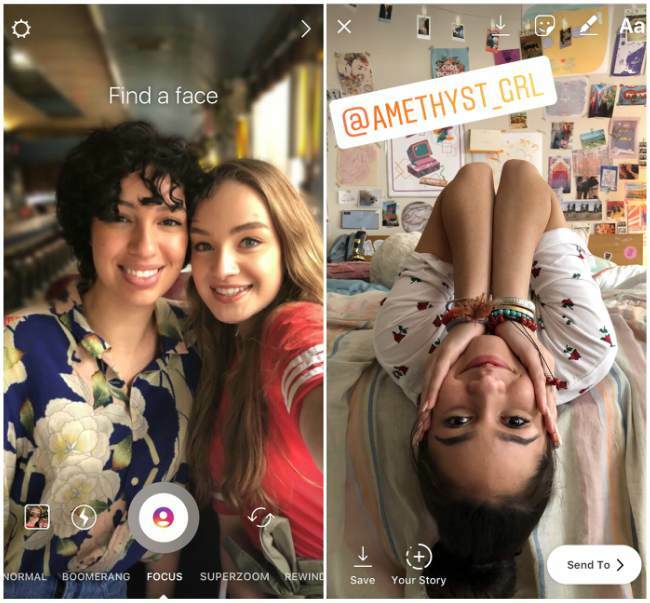 Users can also use filters, stickers and add text to the captured photos and videos before uploading them as a standard post on Instagram or adding them to their story. The ‘Focus’ feature is currently available on iPhones 6S and above, and on select Android smartphones. We tested the feature on the Redmi Note 5 Pro and it works well. It was able to detect four faces, each at different depths, and was able to blur the background easily. The new feature is available on version 39.0 of the Instagram app for iOS and Android. The updated app will also allow iOS users to add @mention sticker to a photo or a video. It can be accessed from the stickers tab and one simply needs to select it and type in the account they want to mention. A report of Instagram testing a new portrait mode on their app surfaced earlier this month. The “portrait shutter Icon” was found hidden within Instagram's Android app. It is also speculated that the app will soon introduce voice and video calling. The Facebook owned platform is being updated with new features in order to remain ahead of competition like Snapchat, although the latter has seen a sharp decline in its user base since it revamped its UI, which was apparently disliked by over 6 lakh users. One of the other most popular app by the social networking website is WhatsApp, which is also being constantly updated and its beta version previously received the support to lock voice message recordings. Users can now hold and tap on the mic to record a voice message and swipe up for locking it. 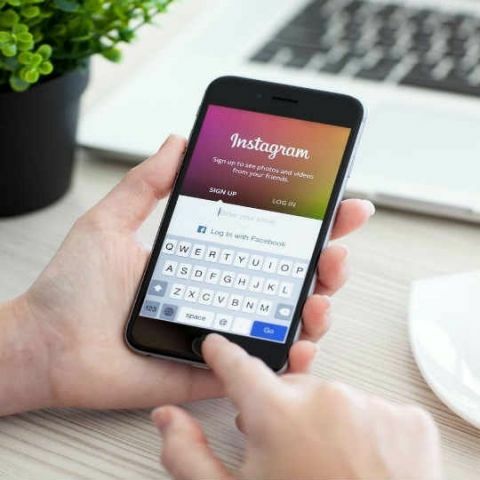 Speaking of Instagram's parent company Facebook, the social network is currently under scrutiny and facing backlash for the Cambridge Analytica data leak. The company’s CEO, Mark Zuckerberg apologised over the data leaks, which affected 87 million users and recently testified before the US Congress for the first time ever. He was questioned by 44 senators but each had a five minute time limit. Zuckerberg was questioned about the data leaks, whether the company stores, distributes or sells user data, and also if there could be a paid version of the social media platform without any ads to which he answered that there will always be a free access to Facebook, not shooting down the idea that there could be a paid version in the future. You can read more about this here.